Last weekend I attended a trade wine tasting – my first and pretty much the last for this year. My schedule simply didn’t align to do more, but may be it is even for the better? I’m sure that most of the people see it very simply – “wine tasting = fun”. 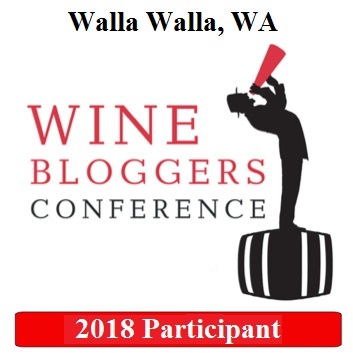 I tried many times to explain in this blog that “wine tasting = hard, tiring work” – no doubts 9 out of 10 people point to this statement and start laughing – but this is totally fine with me. The tasting was organized by one of the Connecticut wholesalers – Worldwide Wines, to showcase all the new arrivals from the wineries and importers they represent in the state. According to the invitation, about 1,000 wines, beers and spirits were offered in the tasting. Duration of the event? 3.5 hours. Which simply means, if you want to taste them all, you have to move at a speed of roughly 5 wines/beers/spirits per minute. Yep, 5 per minute, 12 seconds each. Of course nobody is trying to taste them all – you have to come with the plan. As I’m not operating a retail business, my plan was simple – to taste best of the best, simply based on the names. I mean no disrespect, but it means that Heitz takes precedence over Castle Rock, same way as Gaja would go over Cavit. This year, I managed to complete my plan quite successfully – you will see tasting notes below. At the end of these 3.5 hours I was really, really tired – but hey, it was worth it. California Chardonnays are back! Well, this is a personal statement, of course. Over the past 4-5 years, I developed a tendency to avoid California Chardonnays in any tastings – I find all that “unoaked” stuff boring. I’m not looking for the “oak bombs” as they were called in the past, but I like my Chardonnays with vanilla, touch of butter and some weight on the palate. This year, out of the 10-12 Chardonnays which I tasted, there was not a single one I didn’t like. Of course I had some preferences, but still, as a group, they were outstanding. You will see the list of all Chardonnays I had a pleasure of tasting in the list below. There were lots and and lots of red wines I tasted at the event, many of them of the cult status – Sassicaia, Heitz, Shafer, Joseph Phelps and others. 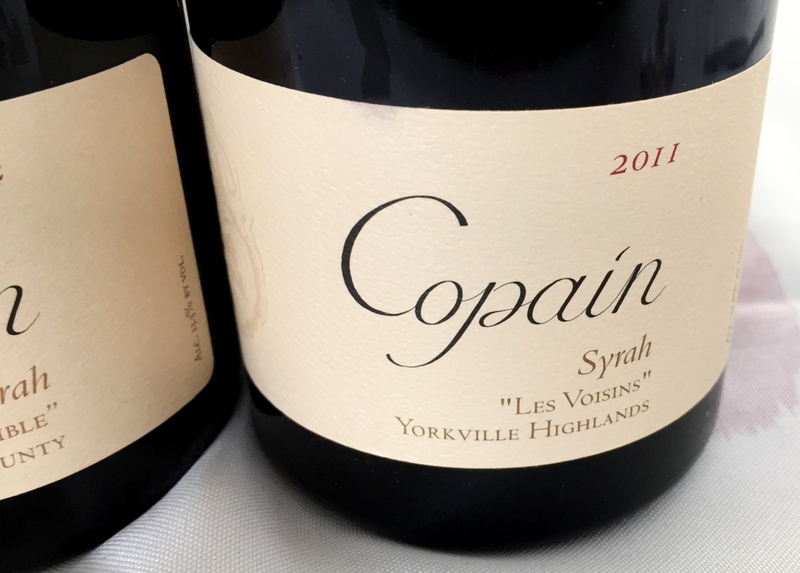 They were all excellent wines, but still, my absolute favorite red wine of the tasting was Copain Les Voisins Syrah Yorkville Highlands ($24.95) – the wine had stunning clarity of the Syrah, with pepper and restrained earthy profile. My top pick for the white wines might be even more surprising – Villa Wolf Gewurztraminer Pfalz, Germany ($10.49!!). I personally consider Gewurztraminer a very difficult grape to do right, for sure for my palate – this wine had such a beautiful balance of spiciness, fruit and acidity, it was simply a perfect sip in the glass. There is yet another highlight which goes to the white wines. 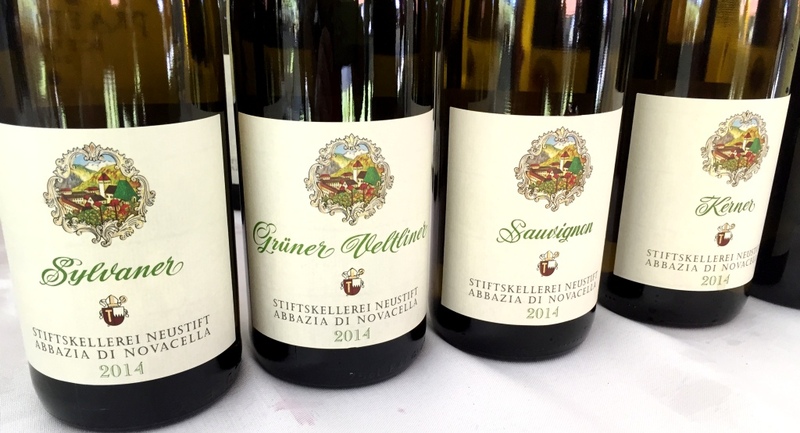 Talking about a “group”, 5 white wines from Abbazia di Novacella in Alto Adige in Italy, where literally one better than another – every sip got a “wow” reaction – Kerner, Gruner Veltliner, Sylvaner, Sauvignon Blanc – one better that the other, literally. Not a revelation for me anymore, but still something to ponder at – there are amazing spirits made in the USA. Case in point – St. George Spirits from Alameda, California. You know, I don’t drink vodka at all, as it has no taste, and here I absolutely loved Green Chile Vodka from St. George. And then there was Gin, Absinthe, Coffee liquor – one “wow” after another. I want to include here their motto, as written on the web site: “We don’t distill to meet your expectations, we distill to exceed your imagination“. Yep. As promised, those were my highlights. 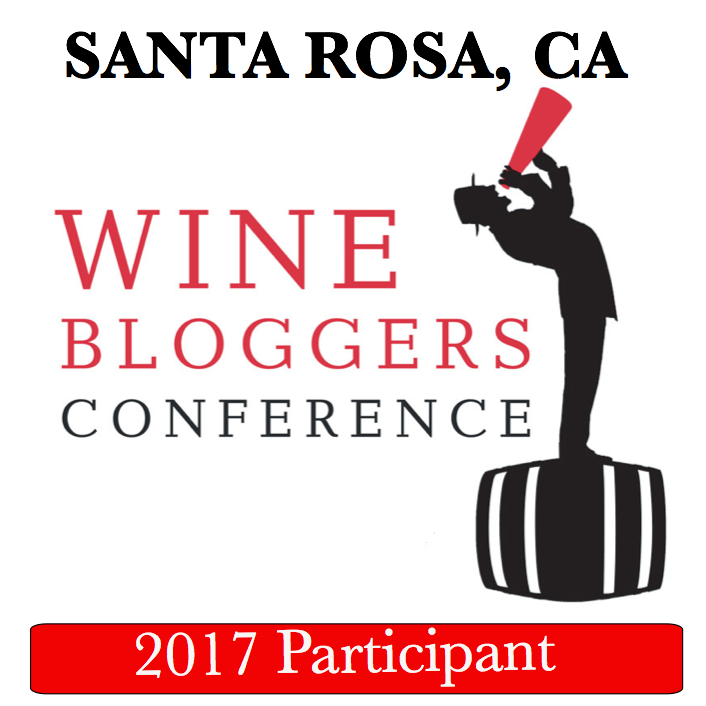 From here on, prepare to be inundated with my brief notes on lots and lots of wines. I used the “+” system for rating, and I didn’t include practically any wines with the “++” rating (there might be one or two). Also, lots of wines were absolutely exceptional, so they got the “++++” ratings. Last explanation: the price in the brackets is so called Connecticut minimal bottle price – the state of Connecticut dictates minimum price at which the wine can be sold to the consumers – retailers are not allowed to go any lower than that “min bottle” price. Therefore, it is likely that prices in many stores in Connecticut will be higher than what I included here. It is also quite possible that you can find lower prices in other states. Lastly, I tried to group the wines mostly by the grape type and/or type, to make it easier for you to navigate. Hope you will find this list useful. NV Charles Heidsieck Brut ($55.99) – ++++, yeasty!! 2013 Merryvale Chardonnay Napa Valley ($24.99) – ++++, wow! classic! 2013 Paul Hobbs Chardonnay Russian River ($38.99) – ++++, beautiful, vanilla, wow! 2013 Venge Scout’s Honor Proprietary Red, Napa Valley ($31.99) – +++1/2, delicious! 2011 Paul Hobbs Cabernet Sauvignon Dr Crane Beckstoffer ($128.99) – ++++, wow! 2012 Copain Les Voisins Pinot Noir Anderson Valley ($28.99) – ++++, delicious, elegant! 2012 Wild Ridge Pinot Noir Sonoma Coast ($40) – +++, wow! concentrated! 2013 Merryvale Sauvignon Blanc Napa Valley ($19.99) – +++, beautiful! 2014 Abbazia di Novacella Kerner Alto Adige ($19.99) – ++++, wow! acidity! 2014 Abbazia di Novacella Gruner Veltliner Alto Adige ($19.99) – ++++, wow! 2014 Abbazia di Novacella Sauvignon Blanc Alto Adige ($19.99) – ++++, wow! 2014 Abbazia di Novacella Sylvaner Alto Adige ($19.99) – ++++, wow! 2013 Abbazia di Novacella Praepositus Kerner Alto Adige ($25.99) – ++++, wow! 2014 Villa Wolf Gewurztraminer Pfalz ($10.49) – ++++, wow! beautifully balanced! 2012 Maximin Grunhause Riesling Feinherb Mosel ($15.99) – ++++, petrol! NV Heitz Wine Cellars Ink Grade Port ($27.99) – ++++, wow! St. George NOLA Coffee Liqueur ($27.25) – good morning, sir. Here is your coffee, extra strong. St. George Absinthe Verte ($22, 200 ml) – find it and try it, as I can’t describe it. This is first absinthe produced in US after Prohibition. Would gladly drink it at any time. Wow epic tasting with some very good wines! Wow, that sure was a lot of hard work! Amazing you could take notes as well. well, very limited notes as you can see. Blind tastings are hard, but they are even more fun! I agree – Elderton Command is a great wine, but yes, it is quite expensive. Impressive–I can never make it through that many. Nowhere close…. When you taste this many wines….are you taking notes? If so, chardonnays….you mentioned taste of butter….which one stands out the most in this flavor note? We ate lots of green chiles during our time living in New Mexico, but I never imagined it in VODKA! Wow!